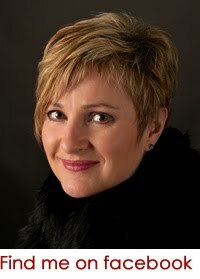 "Veteran dramatic soprano Gitta-Maria Sjöberg is a magnificent Kostelnicka. Her solid sound, capable of both beauty and real thrust, sails through the music's exceptional accuracy and technical know-how. Looking just right in her grey bun and severe black dress, she employs grand physical gestures only when absolutely suitable, otherwise accomplishing much through stillness and eloquent facial expression. Implacability, pride and finally vulnerability are all present in this remarkably complete portrayal. Anja Silja's Kostelnicka (Glyndebourne) is, of course, sui generis, but Sjöberg is superior vocally to Silja, Madrid's Deborah Polaski or Barcelona's Eva Marton." Jenufa - DVD - Arthaus Musik 101 665 (2 hours 1 minute). Subtitles in English/French/German/Swedish. Website: www.arthaus-musik.com NTSC 16:9. Video Director Johan Öberg. DVD Producer Anders Granqvist. 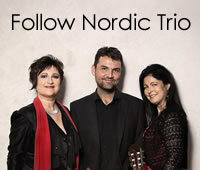 Date Live performance at the Malmö Opera, Sweden in December 6th 2011 - Launched December 2012. Stage Director: Orpha Phelan. Designer: Leslie Travers. Choreographer Lynne Hockney. I am a Swedish born soprano, educated in Denmark and soloist at the Royal Opera in Copenhagen. I have a full and busy carrier at operahouses around in Europe, USA, South-America and Asia.